Louisville Water Company's Riverbank Filtration program is a landmark civil engineering project and an innovative solution to providing a new source of drinking water to the City of Louisville. The project, combining a 1 ½ mile tunnel and 4 collector wells as a source for drinking water, is the first of its kind in the world. 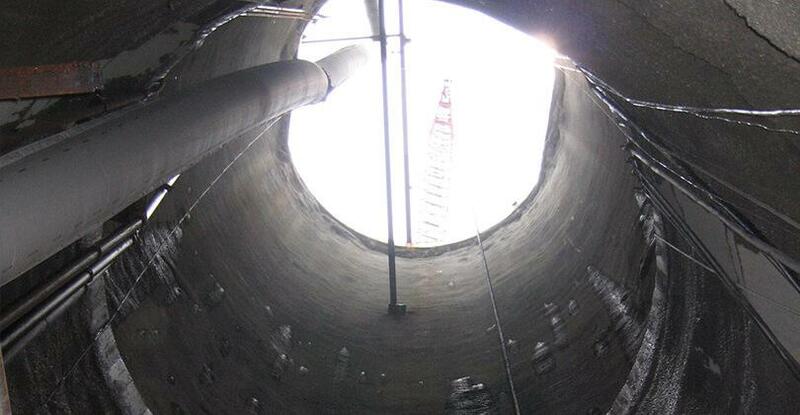 Advance Ready Mix was a key partner on this project, as the wells and tunnel were all cast in place concrete. The concrete on this project provided several challenges for Advance and the contractor. First and foremost was getting the concrete to its final destination. The concrete for the tunnel had to be pumped two hundred feet below ground and upwards of a half mile through the tunnel once underground. Pumping these distances can alter the characteristics of the concrete, so Advance got involved early to design a mix that would pump that far, yet keep its high slump requirements without segregating. The concrete for the wells was far different. It was actually poured above ground and required high-early strengths, as within days of being poured the concrete walls were driven into to the ground like a stake with a hydraulic press. It took roughly 12 pours to drive the well shafts deep enough into the ground to meet the tunnel. In addition to the aforementioned concrete, we also had to produce a tremie mix for a slurry wall to create an access point to get all the equipment down to the tunnel. All totaled we produced 20,000 cubic yards on this project.